Battery-operated. 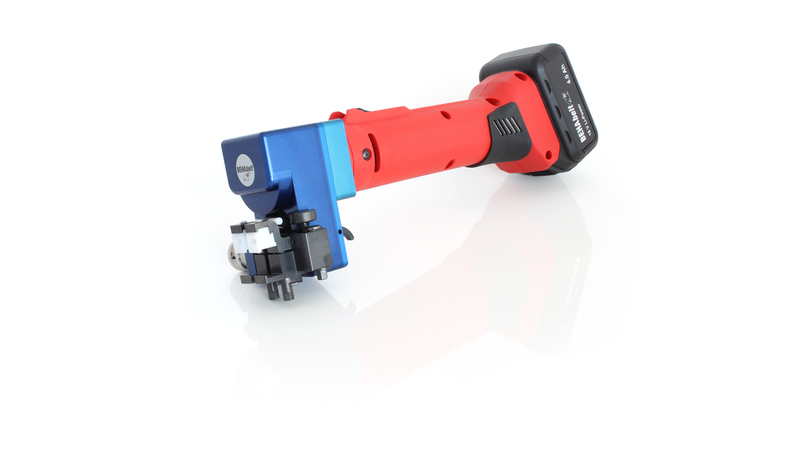 unique friction welding machine RS02 CORDLESS for polyurethane profiles for improved high-mobility maintenance. The BEHAbelt RS02 Friction uses the heat from friction to fuse belt ends together in seconds-a strong, uniform and perfect splice, every time. The automatic alignment ensures that 100% of the belt ends are fused. Temperature variation is never a concern.